Business hours: 7am to 11pm, daily. THE HIGHLIGHT of Ramadan buffets is the combination of the traditional and contemporary. It is the time of year when kampung-style dishes and festive favourites such as roast lamb feature on the menu. 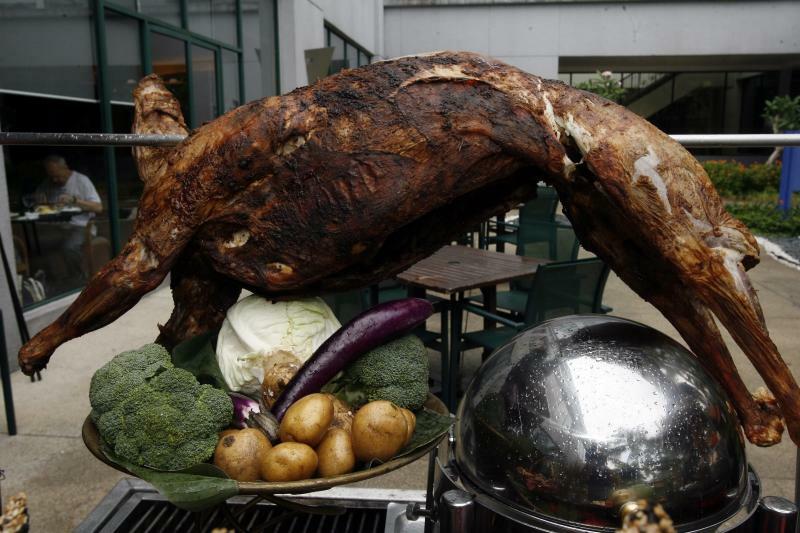 Whole-roasted lamb (top pic), its meat fall-off-the-bone tender, is a crowd-pleaser at Ramadan buffets and often the star attraction. At the Royale Bintang Resort & Spa Seremban’s Asiatique restaurant, roast lamb is served Monday through Saturday during the fasting month. Marinated with a secret blend of herbs and spices, the meat is slow-roasted until fork tender, and carved on the spot for diners. But while this winning roast is undoubtedly the highlight of the Ramadan buffet from Monday to Saturday, roast venison, a new addition to the carvery will be served every Sunday from June 6 to July 5. The Ramadan buffet menu at The Royale Bintang Resort & Spa features over 100 dishes daily that include ulam (salads) and flavourful curries. Asiatique’s Malay sous chef Ahmad Mahamod said roast venison was introduced to the Ramadan buffet menu this year because of repeated requests from guests. “In the past, we’d prepared roast venison for private events and received encouraging feedback. “We decided to put it on the menu this year to give guests, especially repeat diners, more variety,” he said. The venison, imported from Australia, is marinated overnight in a blend of herbs and spices, and slow-roasted on medium heat for at least two hours until tender. The seasonings include freshly grated ginger and garlic as well as lemongrass, paprika, black pepper and honey. Ahmad said the venison would be a special treat for those who enjoyed the bold flavours of game meat. “Venison is very flavourful, and when it is prepared properly, is just as succulent as roasted lamb. “I think this will soon be a new crowd favourite,” he said. The roast meats, however, are not the only crowd-pullers of the hotel’s extensive Ramadan buffet. 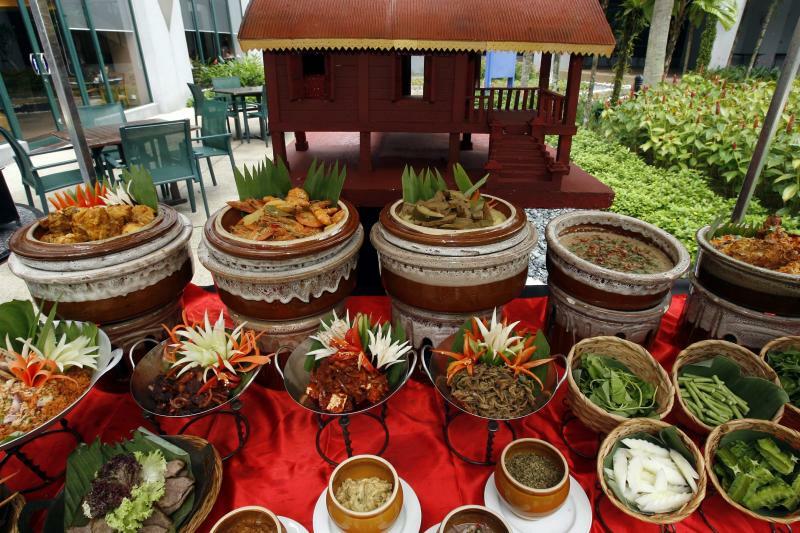 This year’s buffet spread is themed Aneka Rasa Tujuh Periuk (Flavours of the Seven Pots), and features a rotating menu that highlights kampung-style dishes cooked and served in large vats, reminiscent of a village feast. Ahmad said these flavourful dishes included Ayam Goreng Serai (fried lemongrass-marinated chicken), Kambing Pudina (lamb in a mint and coriander gravy), Daging Masak Bali (Balinese beef curry) and Ikan Tenggiri Masak Acar (fried mackerel with pickles). “Aneka Rasa Tujuh Periuk is inspired by the kenduri (feasts) we have in thekampung. In the kampung, villagers often come together and cook large pots of curries for community celebrations. “These dishes are new additions that have familiar flavours. Our chefs have added their own spin to the dishes they grew up with,” he said. The new entries complement time-honoured traditional favourites, including dishes that are popularly requested by repeat guests. Among the must-haves are Gulai Kawah Ekor Lembu Asam Pedas (oxtail in a spicy-sour gravy) and the hotel’s award-winning bubur lambuk. The former is a slow-cooked oxtail curry flavoured with herbs, spices and tomato paste, while the latter, an appetising rice porridge to break the fast. 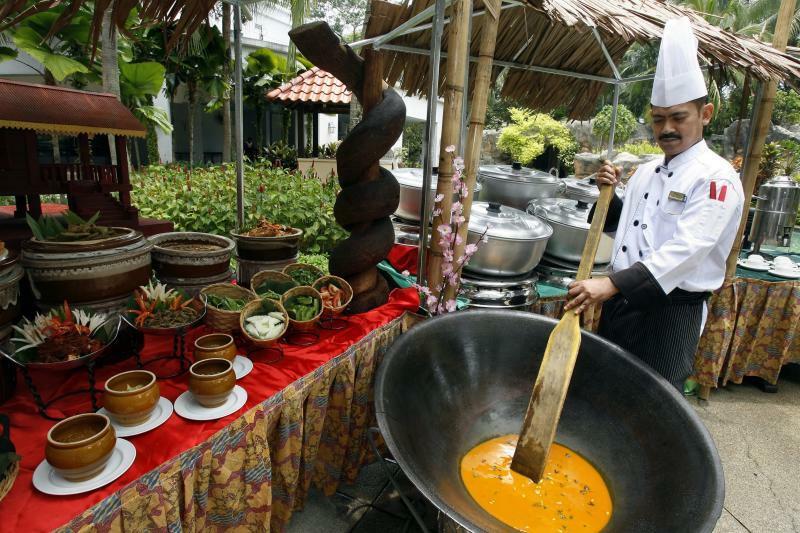 The Royale Bintang Resort & Spa Seremban Malay sous chef Ahmad Mahamod stirring gulai kawah, a curry cooked in a large kawah (wok). The hotel’s Ramadan buffet menu spans over 100 items daily, from appetisers to desserts, and includes Chinese, Indian, Japanese and even Italian dishes. With dishes from ulam to tempura and stalls doling out street food favourites such as fried noodles and grilled seafood, the Ramadan buffet at Asiatique is definitely worth a visit. No meal, however sumptuous, is complete without a sweet finish. And at Asiatique, guests will be spoilt for choice. 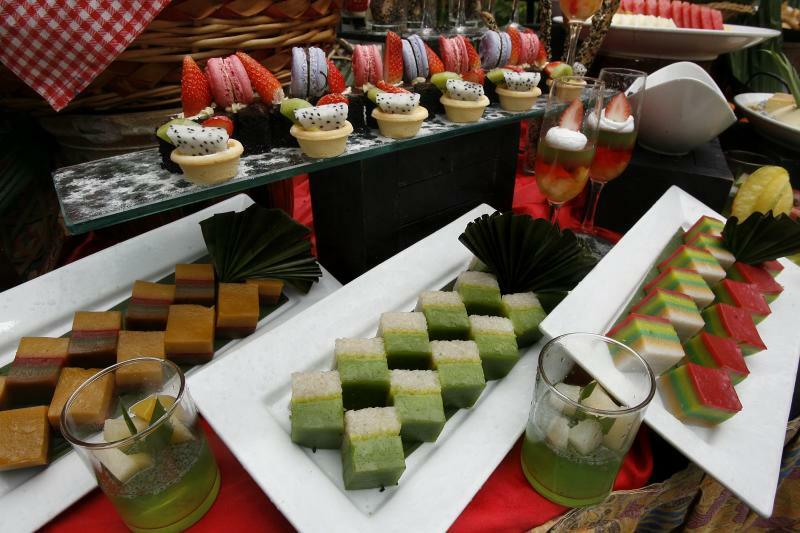 Desserts include various patisserie as well as traditional sweets such as serawa durian and apam balik. An array of kuih (traditional sweets) on the Ramadan buffet menu at The Royale Bintang Resort & Spa Seremban. The buffet is priced at RM95 nett (per adult) and RM48 nett (per child aged four to 12). Diners who make their reservations before June 4 will only have to pay RM77 nett per seat (adult only). Promotional room rates and a daily sahur buffet are also available during Ramadan. The buffet is available from 6.30pm to 10pm and 1am to 5am (sahur).